Kristan "Kris" Burley was born today, January 29, in 1974. He is a Canadian gymnast, who has represented Canada at the Commonwealth Games, the Pan American Games and the Olympic Games. Originally from Truro, Nova Scotia, he was based in Richmond Hill, Ontario and Fredericton, New Brunswick during his competitive career. He was a competitive athlete from 1989 to 1999, winning four national championships in gymnastics during his career. 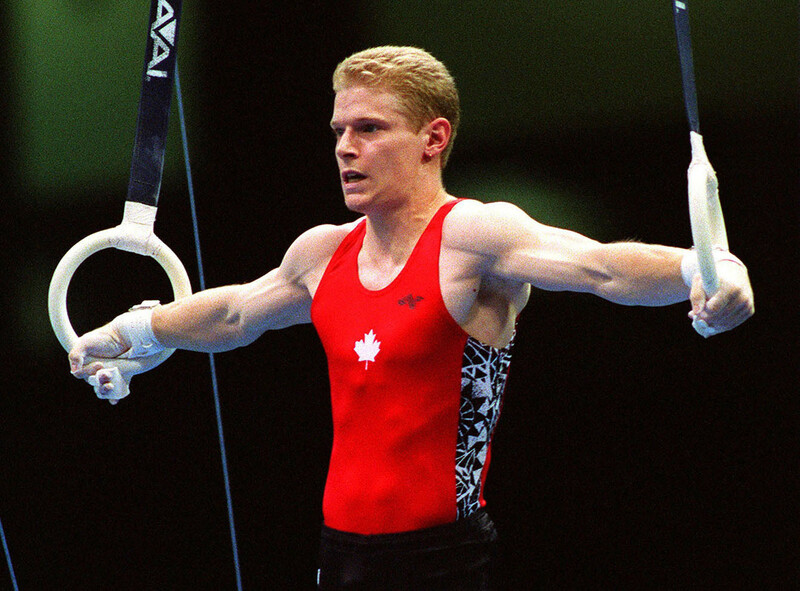 At the 1994 Commonwealth Games in Victoria, British Columbia, Burley won three silver medals as a solo competitor in floor, vault and parallel bars. In the men's team event, he was the last floor performer in what he would later describe as one of the best performances of his life, he scored 9.55 to secure the gold medal for the Canadian team. At the 1998 Commonwealth Games in Kuala Lumpur, Malaysia, he won a silver medal in the men's horizontal bar, and a bronze medal in the men's team event. Burley won two bronze medals as a solo competitor and one bronze medal with the Canadian team at the 1995 Pan American Games in Mar del Plata, Argentina, and one bronze medal at the 1999 Pan American Games in Winnipeg, Manitoba. He competed at the 1996 Summer Olympics in Atlanta, Georgia, but did not win any medals. He was named male athlete of the year by Sport New Brunswick in 1997, and by Gymnastics Canada in 1996 and 1998. Burley announced his retirement from competition in 1999, and subsequently worked as a television production assistant and served on the board of directors of the Association of Canada's National Team Athletes. He worked with Cirque du Soleil for several years as a performer in Alegría and as assistant artistic director of Dralion. He later worked on the communications and media team for Toronto's bid to host the 2015 Pan American Games. Since retiring as a gymnast, Burley came out as gay. He became a spokesperson for the Canadian Olympic Committee's program to combat homophobia in sport.